The Cristo Rey Network® is comprised of 35 high schools that provide a quality, Catholic, college preparatory education to urban young people who live in communities with limited educational options. Most students qualify for the federal free or reduced lunch program. Member schools utilize a longer school day and year, academic assistance, and counseling to prepare students with a broad range of academic abilities for college. All students at Cristo Rey Network schools participate in a Corporate Work Study Program through which they finance the majority of the cost of their education, gain real world job experience, grow in self-confidence, and realize the relevance of their education. The Cristo Rey Network of schools was founded in 2001 when leaders from groups in Portland, Oregon, Cleveland, Denver, and New York hoping to replicate Cristo Rey Jesuit High School of Chicago gathered for the first time to learn more about the model school. Since 2001, leaders of the Cristo Rey schools have been meeting regularly to share ideas and best practices. 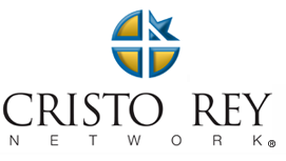 In 2003, the Cristo Rey Network was formally organized as a 501(c)(3) organization. The Network is governed by a Board of Directors, several of whom are elected by the member schools. The members of the Cristo Rey Network are schools approved by the Board. Each member school agrees to adhere to the 10 Mission Effectiveness Standards of the Cristo Rey Network. B.J. and Bebe Cassin were the first philanthropists to promote the scaling up of the Cristo Rey model. In 2001, they made a $12 million commitment to replicate the Cristo Rey schools. Today, dozens of foundations, including the Bill & Melinda Gates Foundation, and individual donors throughout the country have contributed to the efforts of the Cristo Rey Network. Integrates the learning present in its work program, classroom, and extracurricular experiences for the fullest benefit of its student workers. 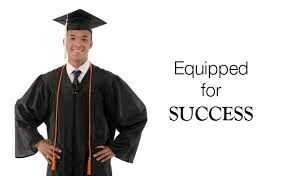 Supports its graduates' efforts to obtain a college degree.